Feare, C. The Starling. Oxford, England: Oxford University Press, 1984. Feare, C., and A. Craig. Starlings and Mynas. Princeton, NJ: Princeton University Press, 1999. Fry, C.H., S. Keith, and E.K Urban. The Birds of Africa, Vol. 6. New York, NY: Academic Press, 2000. Grimmett, R., C. Inskipp, and T. Inskipp. A Guide to the Birds of India, Pakistan, Nepal, Bangladesh, Bhutan, Sri Lanka, and the Maldives. Princeton, NJ: Princeton University Press, 1999. Hollom, P.A.D., R.F. Porter, S. Christensen, and I. Willis. Birds of the Middle East and North Africa. London, England: Poyser, 1988. 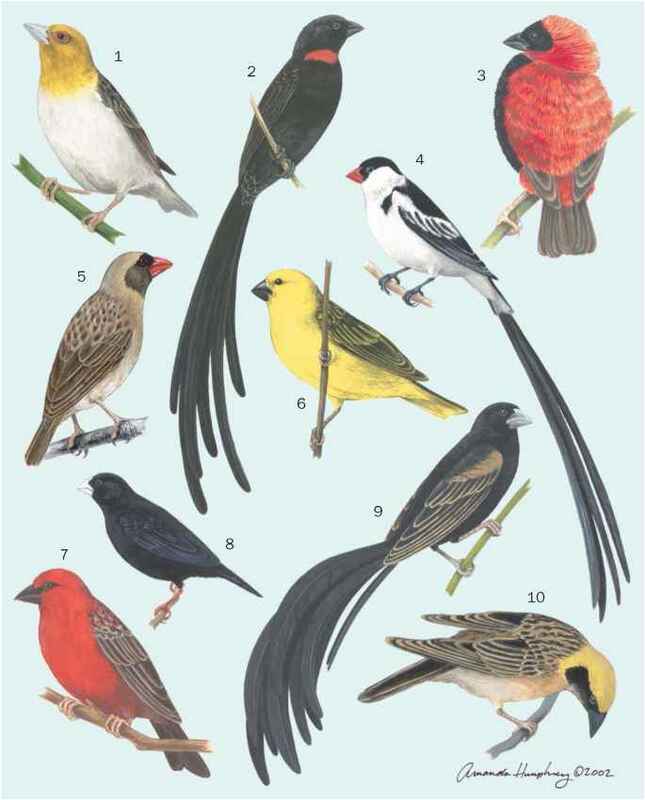 Lever, C. Naturalised Birds of the World. London, England: Longmans, 1987. Sibley, C.G., and J.E. Ahlquist. Phylogeny and Classification of Birds. New Haven, CT: Yale University Press, 1990. Sibley, C.G., and B.L. Monroe, Jr. Distribution and Taxonomy of Birds of the World. New Haven, CT: Yale University Press, 1990. Sibley, C.G., and J.E. Ahlquist. "The Relationships of the Starlings (Sturnidae: Sturnini) and the Mockingbirds (Sturnidae: Mimini)." Auk 101 (1984): 230-243.